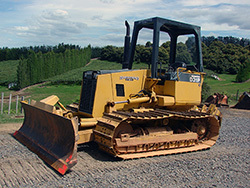 Steve Amrein Earthmoving Ltd are based in Kati-Kati, Bay of Plenty. 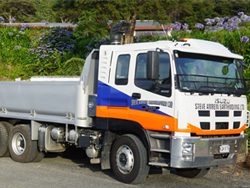 They have provided earthmoving, tree removal, landscaping and ground levelling services to the KatiKati area since 1985. With excavators, tractors, trailers, graders, bulldozers and tip trucks available for hire, Steve Amrein Earthmoving have all of the heavy equipment required for your next project. 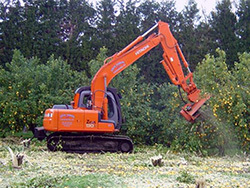 Our most popular services include, earthmoving, ground levelling, land clearing, tree removal, stump removal, landscaping and contouring, house site preparation, roading and driveway preparation, pond digging and clearing, drainage and drain clearing, Avocado tree topping, excavator hire, tractor and trailer hire, truck hire, grader hire excavator mulching and tractor mulching. To find out more about our services, see our services page. To find out more about us, see our about us page or to contact us please call us on 07 549 1283 or get hold of Steve on his mobile, 021 930 614. Alternatively, drop us an email and we will get back to you as soon as we can.